A physical examination of the kidneys and a kidney function test can detect malfunctions that can have very serious consequences for the body. There are several techniques. A good physical examination of the kidneys and a kidney function test are very important to detect failures in the kidneys. These will prevent possible complications for the organism that supposes to have altered the function of these organs. The kidneys are vital, as they perform several functions to keep the blood clean and chemically balanced. The damage to the kidneys can affect our entire body. For example, among these consequences is the increase in blood pressure. Failures in the heart may also appear, as well as unbalanced levels of proteins in the body, and may even cause the death of the patient. In this way, it is very important that the physical examination of the kidneys and the kidney function test be of quality. However, before going into detail in the techniques of exploration, we must know how these organs work. What are the kidneys for and how do they function? A physical examination of the kidney and a kidney function test can detect abnormalities quickly. As we have said, the kidneys are a pair of bean-shaped organs essential to be able to live. Its main function is to purify the blood and keep its chemical components in balance. Each day about 190 liters of blood are processed in one person to eliminate about 2 liters of waste products and excess water. In fact, these become urine that flows into the bladder through ducts called ureters. Erythropoietin or EPO: responsible for stimulating the bone marrow to produce red blood cells. Renin: hormone responsible for controlling blood pressure. Calcitriol: is the active form of vitamin D. It helps maintain calcium to keep bones in good condition. In addition, it helps maintain the chemical balance in the body. This first technique for the physical examination of the kidneys is a method that provides few data. However, thanks to it you can discover the presence of tumors on one or both sides of the abdomen. With this technique, in addition, you can evaluate the degree of nutrition of the patient and appreciate the skin’s color (cyanosis, pallor, etc.). It also allows to observe the expression of unilateral or bilateral renal enlargement and the presence of cutaneous fistulas and edema, among other alterations. In fact, to perform it, the patient can be standing or sitting. Simply the doctor has to observe the defects of the spine that can produce the renal or perirenal inflammatory processes. There are numerous palpation procedures in a physical examination of the kidneys. Guyon’s bimanual procedure: the patient lies on his back and relaxed. The doctor sits on the same side as the one who is going to explore the kidney. With fingers at 5 or 6 cm from the midline, exert moderate and constant pressure. Renal rash: with the patient lying down and the left hand on his back. It consists in producing with the fingers of the right hand dry and repeated impulses in the posterior wall, keeping the left hand flat. The right hand perceives in the abdomen a soft intermittent shock that corresponds to the kidney that rambles before the impulse caused by the left hand. Maneuver of Glenard: to discover the ptosis and classify them in degrees. This method consists of three times: stalking, capture and escape. Goelet method: the patient bends one knee over a chair and the other keeps it straight on the floor. The procedure is bimanual, with one hand in the lower back and the other in the abdomen. Renouretral pain points: they aim to awaken through pain palpation at different levels of the path of the nerves to which renal pain usually refers. Further info: Cleanse The Kidneys Naturally And Effectively In No Time Using This Remedy! This technique is also called digital percussion or fist-percussion. 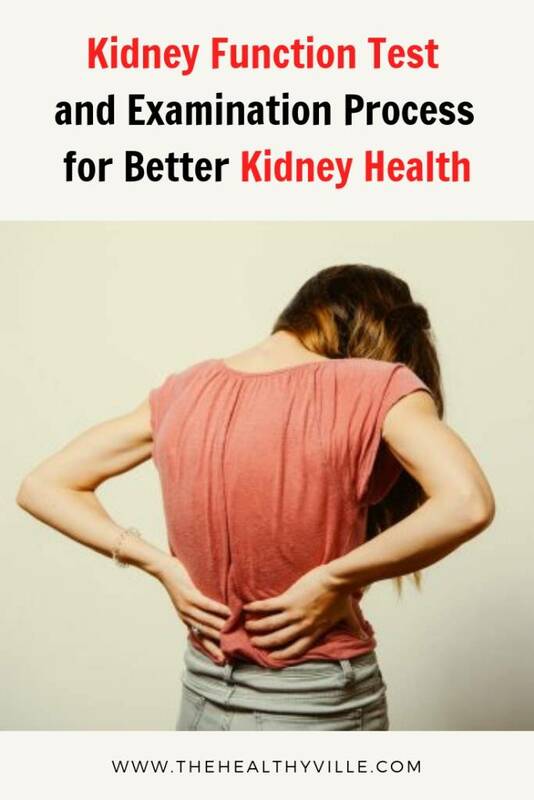 In fact, it is done at the level of the lumbar fossa and awakens or intensifies the lumbar pain that can be caused by some affectation in the kidneys. In fact, to carry it out, the doctor places the palm of his hand on the back of the patient, who is sitting. With the other hand he gives small blows with the fist on the stretched hand. This last technique of physical exploration of the kidneys consists in the search for murmurs. It should be done with the subject in the fetal position and the thighs flexed on the abdomen (to relax the abdominal wall). The doctor should sink the phonendoscope well in the region that is listened to and perform the technique in a quiet environment. Don’t forget to SHARE the kidney function test and examination with your friends and family on your social networks!